I have been traveling to see Baby Tempe for a few days so I have been MIA. When I travel, it gives me a good chance to think. One of the reasons I adore road trips. 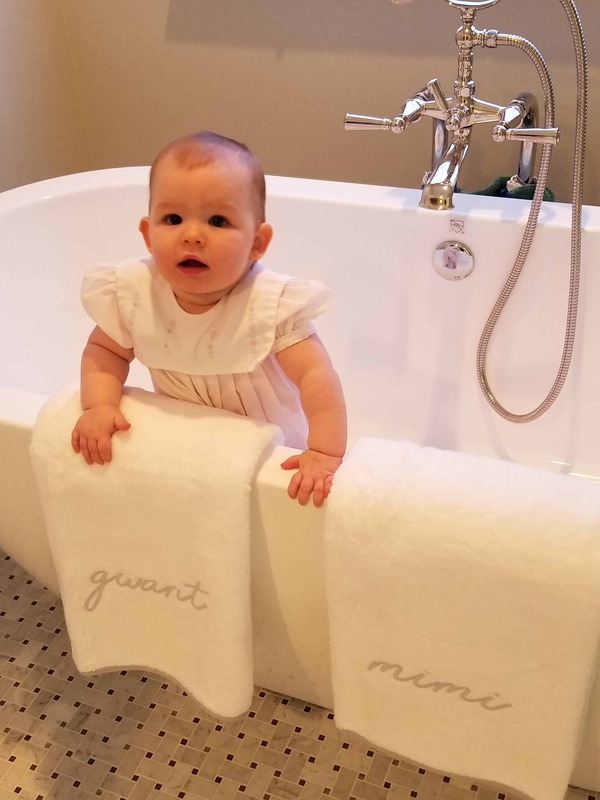 Here is Baby T working the marketing end of her mother’s hot startup Weezie Towels. You will want to get over to www.weezietowels.com when you can. It is hard to be an effective marketer when you can’t speak yet. But, she’s on the case. So, here’s something I have been thinking about for a long time, but have never really articulated in an intelligible way — the world is filled to overflowing with bullshitters, but has only a handful of real doers. I am going to peg the comparative percentages at 98% bullshitters and 2% doers. A pal put it at 99% v 1%, but he was always a hard grader. Before you condemn the coarseness of my observation, let me say there is nothing inherently bad or evil about being a bullshitter, as long as you know it and make way for the doers who are ultimately going to solve the problems. So, Big Red Car, some examples? Bullshitters are all around us — the US Congress is a good example. The pundit class and the media fit into that category many times. Not all the time, but many times. On the other hand, we have entrepreneurs — doers — who are out starting businesses, creating jobs, and generally making capitalism work. Capitalism is an economic system in which the means of production are privately owned as opposed to socialism in which the means of production are controlled by the state. Remember this. Capitalism has delivered the highest quality of life to mankind of any economic or political system. Capitalism requires doers to make it work correctly. Can you be more specific, Big Red Car? Sure, dear reader. Let’s take venture capital, as an example. You have your venture capitalists, who perceive themselves as being at the top of the food chain with their closets full of money. Of course, the VC is a steward for some other source of money such as a pension fund which is investing to pay their future pension obligations and venture capital represents a diversification from other investment opportunities such as traditional stocks, bonds, and real estate. The entire venture capital industry is based on finding and funding entrepreneurs — doers. In this industry, the entrepreneurs are the doers and the entire industry exists to support their efforts. Another example is the military, the US Army as an example, in which the combat arms do the fighting and dying. In this case, the Army considers the Infantry, Armor, Field Artillery, Combat Engineers, Attack Aviation, and Special Forces as being those who close with and destroy the enemy in close combat — the combat arms, the doers. All the rest of the Army exists to support the doers, though sometimes you wouldn’t know it. We need to realize that progress is created by the doers and not the bullshitters. If you are a doer, you also need to recognize that you may be at the mercy of the bullshitters — certainly true of venture capital, business, the military, and politics. If you are a doer, do not take on superior airs or project a sense of righteousness. Instead, be armed with who you are as it is both a blessing and a curse. I recall with great clarity the pure pleasure of commanding troops — as a platoon leader, as a company commander — and the horror of being a staff officer. Though I attacked the prospect of cranking out plans for the battalion to go about its business, I always wanted to be part of the action — the doers. When running businesses, I never felt lonely as the founder, co-founder, CEO because I was paid in the currency of a doer — self-esteem nourishment and ego enrichment together with a large chunk of the equity. Not everybody is cut out to be a doer and not everybody can be a doer. We need support to be able to achieve anything. So, dear reader, there you have it. Let’s try to make it a little easier for the doers to do, shall we? But, hey, what the Hell do I really know anyway? I’m just a Big Red Car. Are you a doer? This entry was posted in Business and tagged CEO, doers, entrepreneurs, founders. Bookmark the permalink.